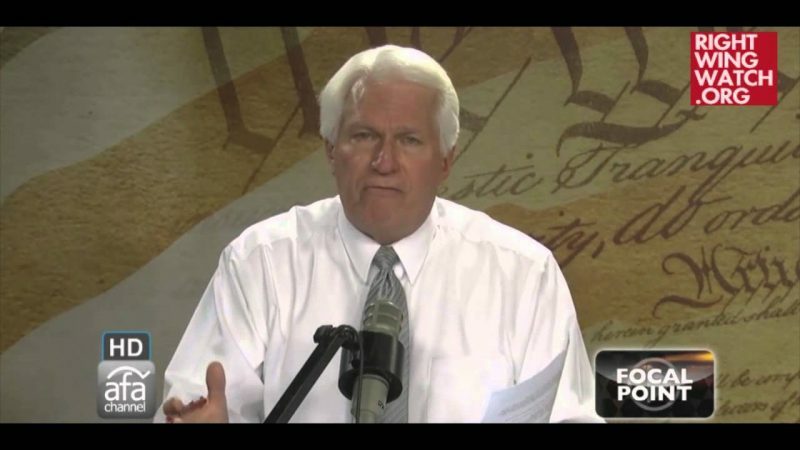 Last week we noted that the American Family Association had pulled down Bryan Fischer’s latest blog post claimed that Native American’s were “morally disqualified” from exercising control over North America and that Europeans were justifed in taking it by force. The left-wing blogosphere has just been lit up over this that the column that I wrote on Tuesday over westward expansion, settlement of the United States got pulled down. The column generated an incredible amount, so much intense, vitriolic and profane reaction – in fact, we had the woman here that monitors comments, she had to say “look, you have to get somebody else to do this, the things that people are saying about Bryan are so vulgar, they are so vile, they are so profane, they are so blasphemous, I can’t take it any more.” That’s how much hate there was, and yet we’re the ones that are accused of being the hatemongers. So this thing was taking on a life of its own, it was kind of mushrooming into a huge issue and becoming a distraction really to the fundamental mission that we have here at AFA even though when I blog, I mean they have it on every column that I write, at the bottom of every blog it says that I’m not speaking for the organization, that the opinions expressed here do not necessarily express the opinions of AFA or AFR talk. I am just speaking for myself. I say it every day at the foot of my columns, that was my idea to put that in there because people we so confused whether I was speaking for AFA or whether I was speaking for myself. Well, if I am blogging, I am speaking for myself. But apparently, the left-wing media is too dim-witted to understand that or to pick up on it, so we just pulled it down because it was taking on a life of its own. 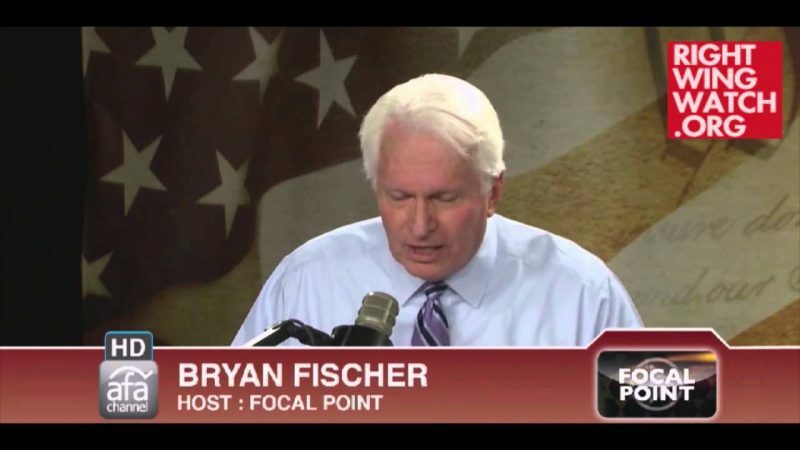 So let me get this straight: the AFA lured Fischer away from the Idaho Values Alliance, named him director of Issue Analysis for Government and Public Policy, gave him a two hour daily program on its radio network, and allows him to appear in print, on TV, and at right-wing events as a representative of AFA … but we are supposed to believe that when we writes posts for the AFA blog, he is just speaking for himself and that his views should in no way be seen as a reflection on the organization?